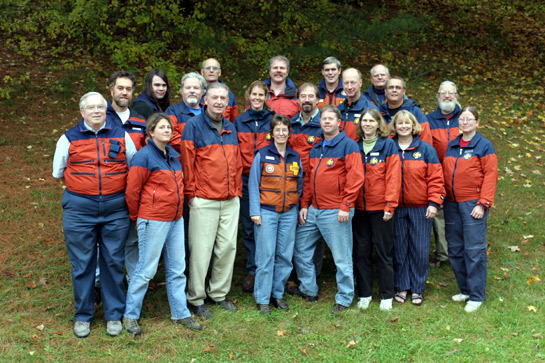 The Northfield Mountain Nordic Ski Patrol (Northfield, Massachusetts) is a not-for-profit organization of volunteer first responders trained and nationally certified in winter safety, outdoor emergency care, cross country skiing, land navigation, mountain travel, search and rescue, and survival. The Northfield Mountain Nordic Ski Patrol is a member organization of the Nordic Program of the National Ski Patrol (NSP). We belong to the Western Massachusetts Region of the Eastern Division of NSP. The patrol serves the cross-country skiers at Northfield Mountain by providing a safe environment and emergency care. Nordic ski patrols were organized in the early seventies to provide emergency care at cross-country ski races, on backcountry ski tours, or at ski touring centers. Nordic patrollers meet uniform standards of training and possess nationally-recognized credentials. OEC completion is a nationally-recognized credential accepted by all patrols affiliated with NSP. All patrollers attend an OEC and a nordic refresher one weekend every fall in order to maintain skills. Training continues throughout the ski season. All patrollers are certified in American Red Cross CPR for the Professional Rescuer, Automatic External Defibrillation Essentials, and Oxygen Administration for the Professional Rescuer and are annually re-certified. All training is provided free at Northfield Mountain. Among our patrollers are nurses, current and former EMTs, PSIA Nordic instructors, past and present alpine patrollers, and whitewater rescuers.